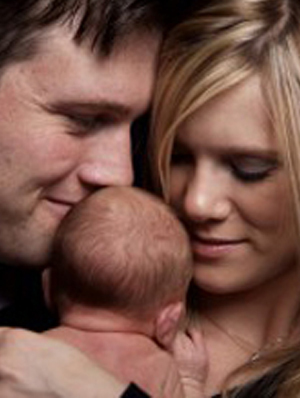 At Fertility Solutions, we are well aware that people are the most valuable asset of any business. We have chosen our team members with the knowledge that each will do their best to guarantee your well-being, add to a pleasant atmosphere in our clinic, and contribute to both yours and our success. We are a three-time recipient of the Sunshine Coast Excellence in Business Awards and in 2012, we were inducted into the Business Awards Hall of Fame. Our success is your baby! Fertility Solutions Sunshine Coast and Bundaberg clinics are accredited annually by DNV-GL, one of the leading conformity assessment bodies (CABs) in Australia, and the Reproductive Technology Accreditation Committee (RTAC), the sub-committee of the Fertility Society of Australia. This ensures that we are consistently meeting and often exceeding industry standards for IVF best practices. Our staff have the educational background to provide you with the latest cutting edge technology and information. Our fertility specialists are well regarded for their success in the field of IVF and are able to provide you with continued care and support throughout your pregnancy. All our specialists and staff are friendly and approachable. We offer a caring environment where you will be supported through all aspects of your journey. We honour and respect the trust you place in us and understand that your journey is immensely important to you and requires a great deal of strength, dedication and sacrifice. Your physical, emotional and spiritual wellbeing is of the utmost importance to us; we pledge to act with compassion, understanding and in your best interest at all times. We are here to support you throughout your journey and will do everything in our power to help you achieve your dream for a family. The Sunshine Coast Business Awards recognise excellence in all levels of business, from small single-owner businesses to large corporate firms. Since our business opened in 2007, we have been recognised four times. We received the award in three consecutive years – 2009, 2010, and 2011. 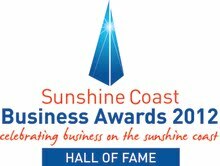 And in 2012, we were inducted into the Sunshine Coast Business Awards Hall of Fame, the highest honor a local business can achieve. We are proud of these successes and believe they give us an added advantage over our competitors on the Sunny Coast. Just ask us! You don’t have to have a fertility problem to access Fertility Solutions Sunshine Coast or Bundaberg IVF clinics. You can email clinic director Denise Donati directly or call us to ask a question. We offer individuals and couples free information on how to prepare for a healthy pregnancy.